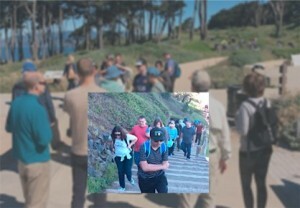 On May 21 AASCEND co-hosts a free showing at the Arc of a new autism film made largely by adults on the spectrum. The showing will be followed by Q & A and presentation of The Art of Autism’s Hearts & Arts Awards. Don’t miss this exciting free opportunity! To aid planning please register for the event-> HERE. 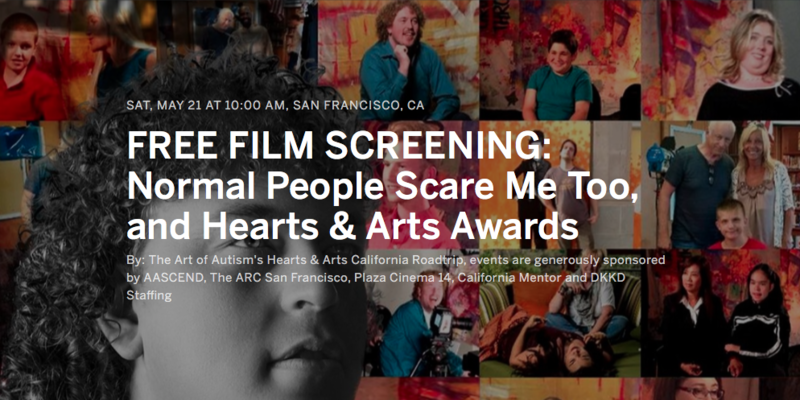 Normal People Scare Me Too, a film about autism was inspired by the past and driven by the future in autism. A decade after the award-winning film Normal People Scare Me was released, Taylor Cross, the film’s co-creator, is at it again. In the new Normal, he interviews former and new cast members and family about attitudes and first-person perspectives in autism today. Asking questions such as “What’s hard for you?” “What are you really good at?” “What do you want educators, parents and others to know about autism?” and of course, “Do normal people scare you?”, we discover keen insights and opinions while meeting a vibrant cast of characters. A decade ago, most of the film’s subjects were clear that “normal” was scary. We’ve come a long way since then with answers that will surely amaze and transform the way we perceive so-called “normal” today. Created by a film crew comprised of 75% autistic students and graduates of Joey Travolta’s Inclusion Films, with music and art created and performed by 65% autistic musicians/composers/artists, the new Normal is pleased to be a more inclusive production this time around. Normal People Scare Me Too is driven by Taylor Cross, directed and co-produced by Keri Bowers (Taylor’s mom) and Produced by Joey Travolta. The AASCEND hike went off in grand style with full cooperation from the weather. The day couldn’t have been prettier – sunny and just the right temperature for a walk. 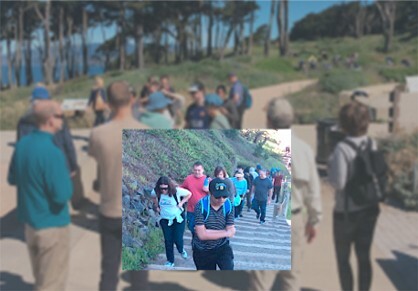 We made it the whole way along the Land’s End trail, all the way back, and along the way we all got to know each other even better. It was an inspiring way to celebrate Autism Advancement Month. Thanks to all who helped make it a success. We’ll do it again sometime! April 21 is the last day to take the Autism Creatives Collective Survey! Click >here< to help this great project get underway. To get in the mood for art, check out the autism arts showcase being held April 30 at California State University East Bay. … and stay tuned for more fine programs from AASCEND!